BEST FRAME IN THE INDUSTRY: This 48″ (wide) x 48″ (deep) x 80″ (tall) grow closet is constructed using thick, 3/4″ diameter powder-coated metal poles for rock solid stability (many competing tents use flimsy and thin 1/2″ poles). 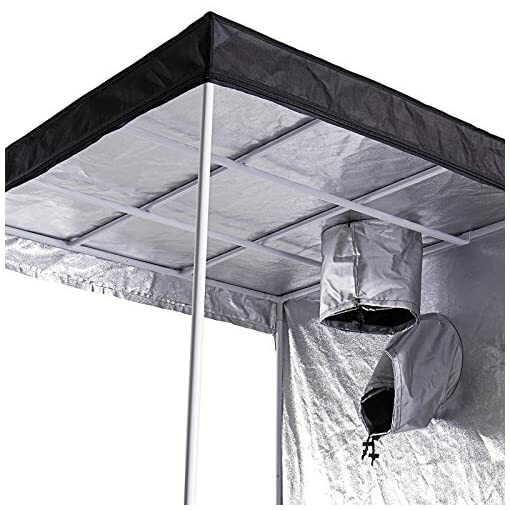 In addition, we provide TWO crossbars to hang your lights and ventilation. 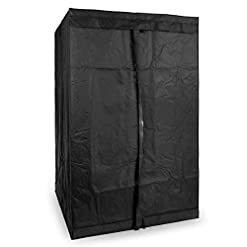 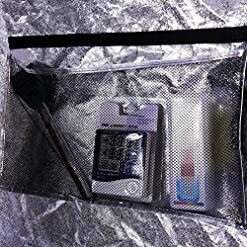 MAX-EFFICIENCY SHELL: Crafted entirely from durable, tear-proof 600D nylon (much thicker than 400-series nylon), double stitched throughout and backed with top-grade, highly-reflective, maximum-efficiency Mylar film. This 100% light-proof, space-age surface returns practically all light back to the plants to increase growth without additional energy consumption. 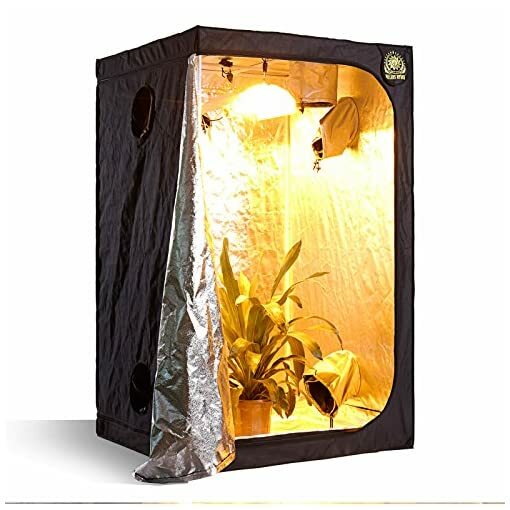 INTEGRATED VIEWING WINDOW: Check in on the condition of your plants and monitor growth without opening the main door. 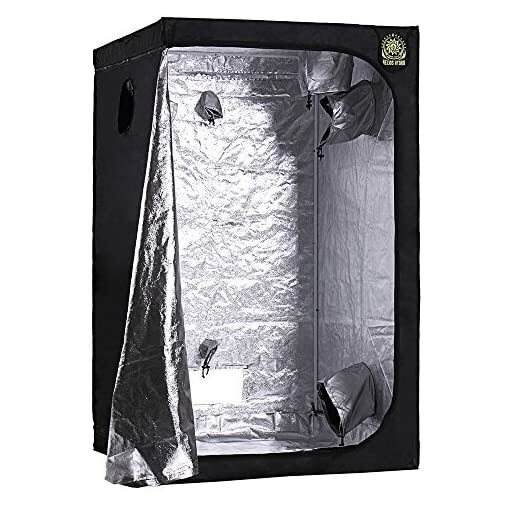 Achieve unrivaled control and abundant harvests with this professional-grade, hydroponic indoor grow room from Helios Hydro. 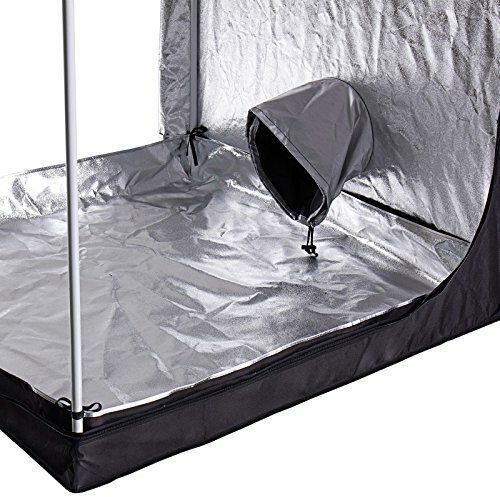 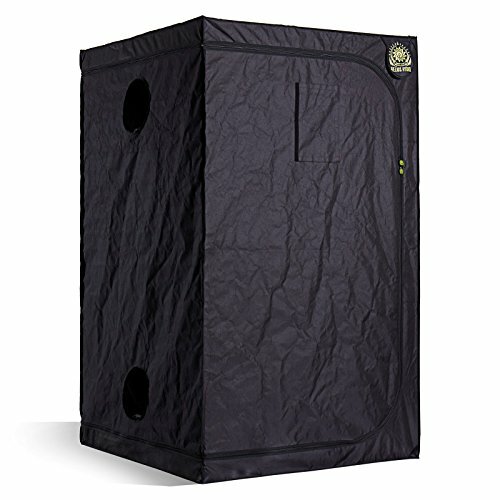 This professional-grade tent is constructed with only the highest-quality materials, including a tear-proof reflective 600D Mylar lining for optimized growing, 3/4″ thick powder-coated metal poles for added stability, thick black fabric with double stitching for superior light blocking and odor protection, and heavy-duty zippers for lasting durability. The reflective interior gives an efficiency boost to lighting setups of any power configuration, providing energy-saving efficiency and creating the ideal conditions for year-round high-yields. 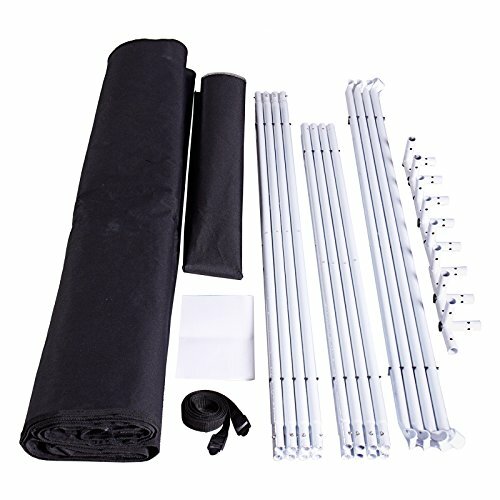 Assembly is simple, with included instructions for easy configuration. 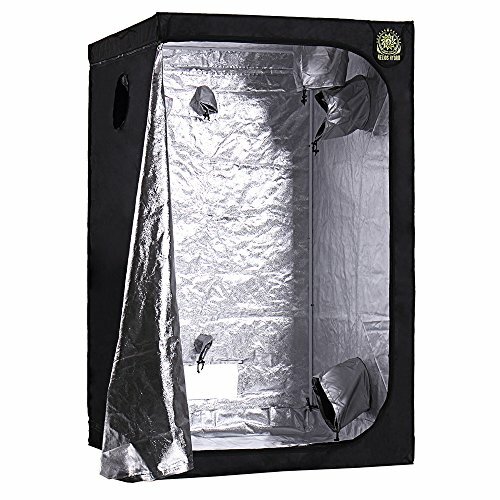 Tent offers an ideal way for beginners to get started, or anyone looking for a convenient, affordable, and high-quality indoor hydroponics growing solution. 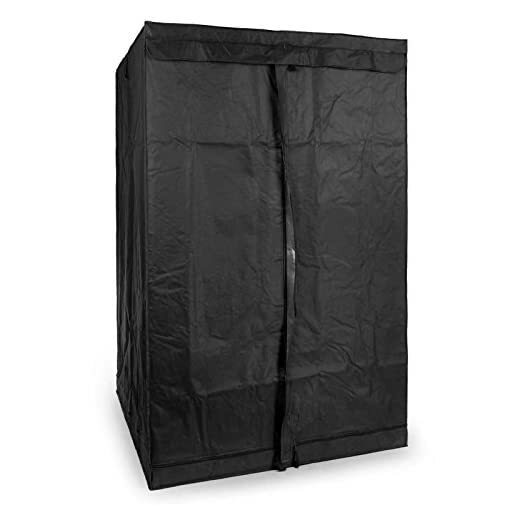 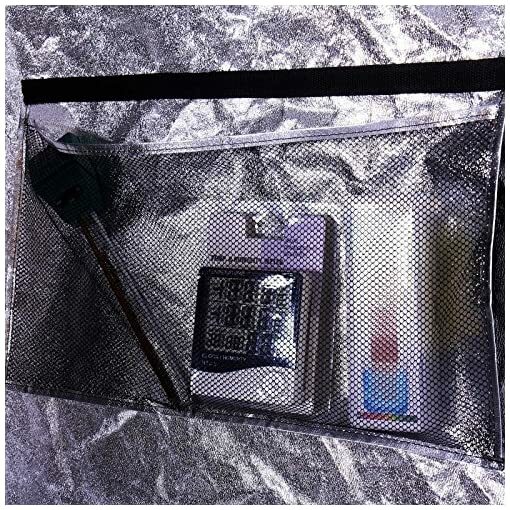 Includes a removable Mylar floor insert for easy maintenance. 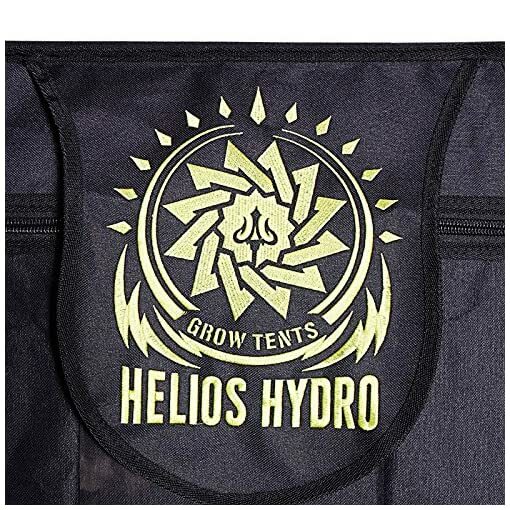 Enjoy the satisfaction and benefits of homegrown cultivation with the Helios Hydro indoor grow box. 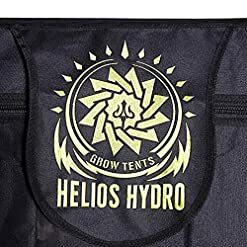 Helios Hydro is your trusted source for professional-grade indoor gardening and hydroponics equipment and supplies that provide lasting quality and exceptional value. 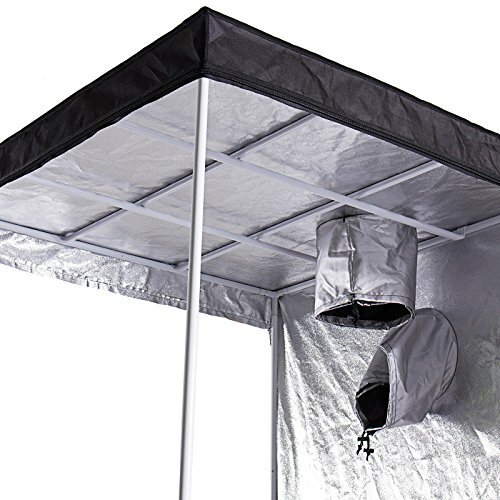 TOP OF THE LINE FEATURES: All vents are double-socked to cinch up tight, keeping odors and CO2 inside and pests and ambient light outside. For easy maintenance, also features a removable floor insert made with the same upgraded Mylar-backed nylon as the rest of the tent. 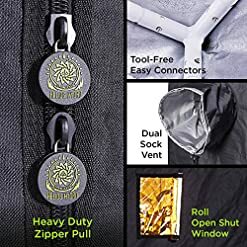 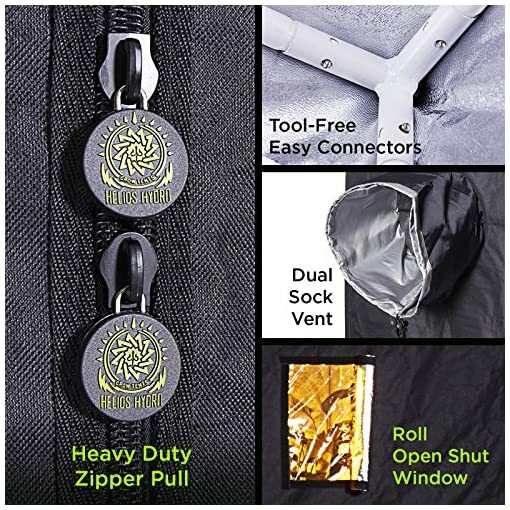 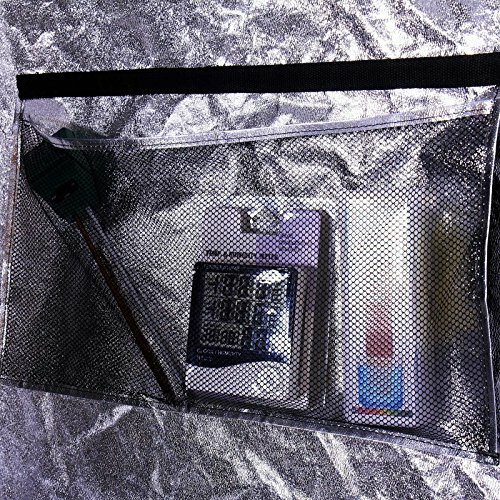 Large, zippered door allows for easy access and convenience, and is built with the toughest zippers we could find to provide secure protection and long-lasting use, without catching or snagging. NO TOOLS REQUIRED: Place your indoor grow tent anywhere – in an apartment, condominium, greenhouse, or any underutilized space (just follow proper safety guidelines anytime you grow indoors). Assembles in minutes without tools. 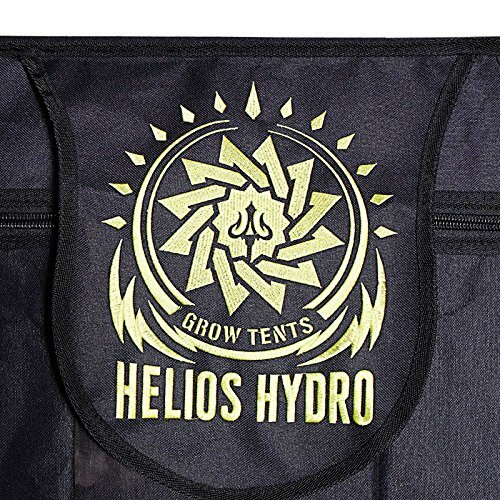 INCLUDES: Helios Hydro grow tent, premium frame with two cross bars for equipment hanging, removable floor insert, filter straps and easy-to-follow instructions.